CJ Taylor lost her long, hard battle with ovarian cancer today. She was my friend and my mentor for more than a decade. She made me feel I could achieve anything if I put my mind to it. And I would do just about anything for her. CJ would see a need in our community and make it her mission to address it. She took her personal experiences with breast cancer and youth substance abuse and worked hard to ensure others could benefit from what she and her family learned. 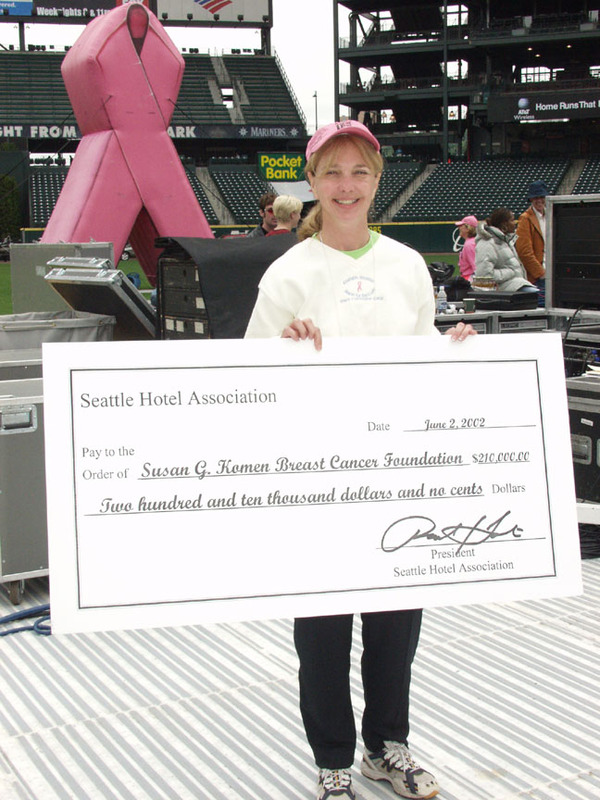 She founded the Comprehensive Breast Center at Providence (now Swedish Cherry Hill) and later led the Puget Sound Affiliate of Susan G. Komen for the Cure in expanding breast cancer screening, treatment and support services for women in our community. CJ and her husband Bob’s own struggles prompted them to create the SAMA Foundation, which provides much needed resources for families dealing with adolescent drug addiction. Earlier this year she told me she was satisfied with her life, that life had been good to her. I thought the world had been pretty damn lucky she was a part of it. I know I’m a better woman for having known her. I am so terribly sad she is gone. I will be forever grateful for the gift of her friendship.